Mr. John Lynch For more than 30 years John D. Lynch was been a steady force for many of the Caribbean’s most visible travel brands including: the country of Jamaica; its national airline, Air Jamaica, Ltd.; Sandals Resorts; Beaches Resorts; and the Royal Plantation group of luxury boutique resorts. Rising from the tour business, Lynch has become one of the Caribbean’s most influential and sought-after experts, a critical player in bringing worldwide attention and ultimately visitors, to the region he knows so well. Lynch began his travel career as general manager of J.A.M., a Jamaica-based tour company. Through partnerships with Intercontinental Hotels and the Maritz Travel Company, Lynch rapidly expanded J.A.M., making it one of Jamaica’s leading ground transportation companies at that time and a precursor of today’s destination management companies. Following this, Lynch began a fourteen year association with the Jamaica Tourist Board. He joined as senior manager, trade services, was promoted to regional manager based in Chicago, and ultimately became deputy director of tourism, responsible for sales and marketing worldwide, spurred on by the award-winning ‘Come Back to Jamaica’ campaign that significantly increased visitor arrivals during his tenure. In 1991, Lynch became president and CEO of Luxury Resorts Marketing, the promotional and marketing arm of Ciboney Ocho Rios, A Radisson Resort, that brand’s first foray into the all-inclusive market. A year later he joined Sandals Resorts as executive vice president of sales worldwide. From his Miami office, Lynch had oversight for public relations, sales promotions, and group sales for all Sandals Resorts brands worldwide and has been an integral part of the company’s aggressive expansion beyond Jamaica that now includes Antigua, Turks and Caicos, Bahamas and Saint Lucia. For Sandals, Lynch created the now trademarked WeddingMoon™ concept that combines a wedding and honeymoon and that has become synonymous with the destination wedding trend. For ten years, Lynch was an active member of the Board of Directors of Air Jamaica, Ltd., while the airline was still the national carrier of Jamaica. Here Lynch was instrumental in the airline’s significant rebranding in 1993 and consequent route expansion that brought more flights to Jamaica from more cities around the world and introduced new Caribbean destinations to Air Jamaica’s portfolio. 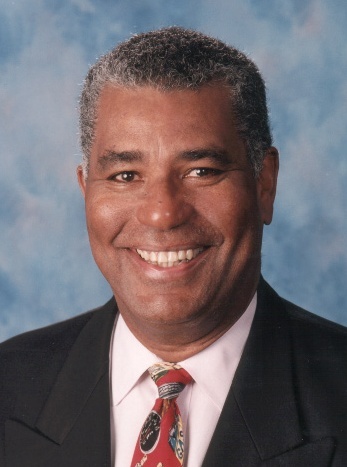 He has served as third vice president of the Caribbean Hotel Association (CHA), and as chairman of the influential marketing committee of the Caribbean Tourism Organization. Currently, Lynch serves as a member of the board of directors for the Caribbean Tourism Development Corporation. He came back to the Jamaica Tourist Board in October 2007, when he was appointed Chairman of the Board. In 2008, he was appointed Director of Tourism and serve in that capacity until May 2014.